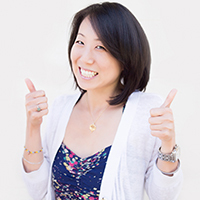 Minling Chuang, Chief Storyteller - Haig Barrett, Inc.
Minling Chuang knows how to tell a story. How to take the best qualities of her clients and spin them into a beautiful representation of who they are. With a background in brand management and social media, Minling loves to help brands find their core essence—their story. And she knows that successful companies use their stories to build lasting relationships with their customers. Since graduating with an MBA from Indiana University and a BA from the University of Southern California, Minling has helped several great brands launch successful products including Guess? Inc., Lean Cuisine and Nestle Toll House—all because she understood what her customers needed. Now, as the Chief Storyteller at Haig Barrett, Minling uses these skills to weave her client’s story into a powerful message that showcases their heart and soul and connect with their customers. When customers feel connected to a brand—really know and understand the brand—well, that’s when the magic happens. Being a creative type, you never know where you might find Minling when she’s out of the office. She’s an expert practitioner and teacher of Kundalini yoga, a connoisseur of vegetarian cooking, a (not so expert) tennis player, and a world traveler. When the weather’s nice (and when isn’t it? ), you’ll likely find Minling exploring the streets, trails, and beaches of LA or just hanging out at Tom’s Roasting Company in Venice. You might say she’s writing her own story – and no two chapters are alike. If Minling could choose a superpower, she would choose to fly. Not only would this save her hours a day in drive time, but it would also come in handy for helping clients get a bird’s eye view of the problems they are trying to solve. After all, if she could see the whole picture at once, it would make for easier storytelling.